There's a lot of confusion about using social media for marketing (for anything, really, but since I'm an author, that's most of what I read about). If you Google it you'll find everything from "how to spam" guides to people who swear it doesn't work and you should stay completely away from it. I'm not going to try and give a lecture about how to use social media to promote or how not to even. I honestly don't know what works. I try little things here and there while doing my best not to be annoying, but who knows if I'm succeeding at all? What do I know about? I know what annoys me personally. What social media habits and practices have me hitting that unfollow button faster than the Flash. I have no idea what I'm doing. . . These come in a couple of incarnations which range from "that's okay" to "Omgosh, don't do that." Here's the set up. You follow a Facebook page (often in response to them following you) and a few minutes later a direct message pops up. "Thanks for the follow. . ." These are usually automated. As I said, there are a couple of levels of this. I don't mind people saying, "Thanks for the follow!" It doesn't make me feel "special" because I know the response is automated 99.9% of the time, but I don't mind. What I mind is when "Thanks for the follow" is immediately followed up by a sales pitch. This is especially annoying if they followed you first. This is just something to consider: if someone offers you a chance to guest post on their blog, don't just copy and paste something you previously published and expect them to eat it up. If you're doing a blog tour, consider providing multiple options or individualized guest posts, so not everyone is posting the same thing. Having content that appears on multiple sites can actually lower a blog's search engine standings. Original content helps the blog AND you. I know it can be hard to come up with a dozen different essays, but at least try to provide them with something they can customize. I followed you, now you HAVE to follow me! No, really, I don't HAVE to do anything, and telling me that I do is the swiftest way to get me not to want to do it. I've seen various degrees of this from the gentle, "I followed you. If you want to follow me back..." To long rants people post in author groups about how rude it is not to automatically follow someone who has followed them. It's the RULES of the internet, people. Follow back! Don't you know how Twitter/Facebook/Instatumblerest works? (I'm going to trademark Instatumblerest later and rule the interwebs) Guilt tripping people into returning favors/likes is just annoying. 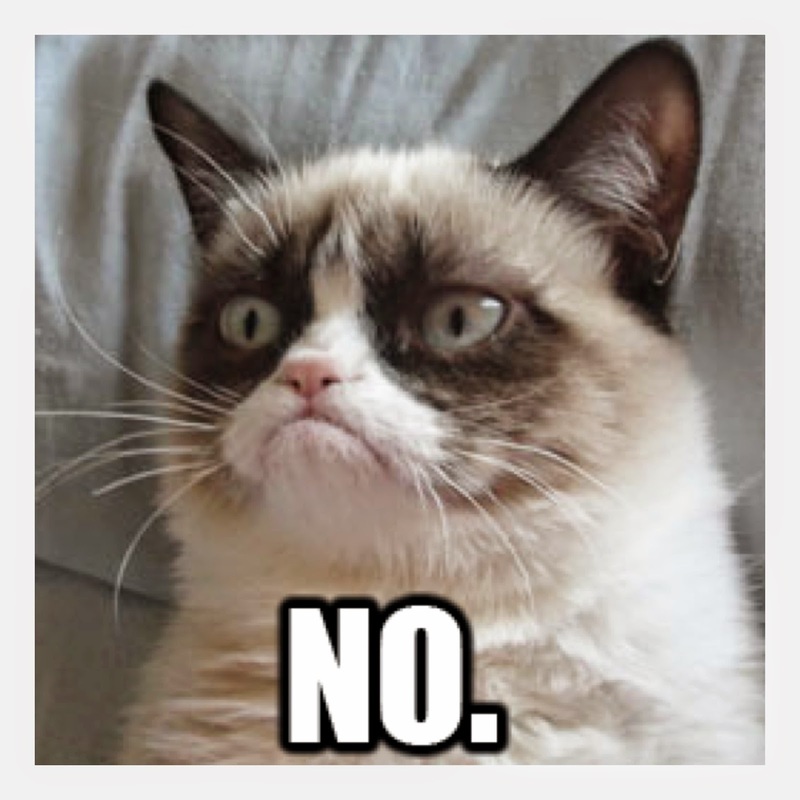 I kind of give a pass to people who follow up page likes with "like my page." I don't think it is "rude" so much as naive. One person explained it to me better than I could: Facebook hides the majority of your posts. Only about 10% of your followers see each post. You want those 10% to be people who are interested in you and your work who will interact with your page. If a percentage of your likes are people just liking you so you'll like them back, it waters down the usefulness of views. You want people who actually want to interact with you, not just numbers. Okay, this is me showing my Grumpy Cat side. In fairness, I had no idea what this "thing" was the first few times it happened to me. Now it happens to me regularly, and I'm probably considered evil because I just ignore it. And I feel bad grumping about it because people do it to be helpful. People do it to be nice. They want people to follow you. They want you to find nice new followers (I guess). And it is kind of a nice idea. It just gets out of hand when someone tags every single person who retweeted them that week and then there's a firestorm of "so and so retweeted a tweet you were tagged in" spam as everyone retweets/replies/favorites to that tweet which is just "Friday Follow" with your twitter handle and the twitter handle of EVERYONE else in that person's Twitter address book. Yeah, ignore me, I'm a grump, but if you really like this idea, consider following the guidelines in this post. Just to keep things from spiraling out of control. If everything I see on your page or coming out of your account is "buy my book" or "look at this awesome review of my book" I really have no reason to go there. It's okay to promote sometimes, but the ratio of promotion posts to content needs to be tipped heavily in terms of content. This is a little different. 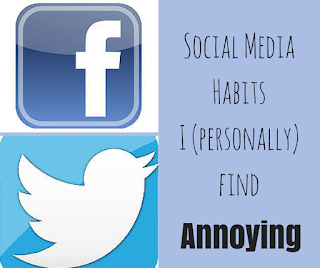 I follow a lot of blogs through Bloglovin and Google Friends Connect and Facebook and Twitter. However, if your only follow option is email, I'm not following. I get a ton of email in my box every day. The majority of it goes unopened into the trash. I understand the need to develop an email list. I have one of my own, but I try to keep emails down to once a month. 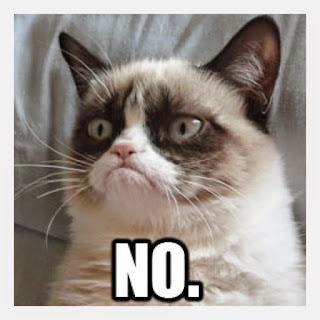 When I sign up for an email list (especially for a blog) there's always the "are they going to spam me every day? Three times a week?" concern. It's not technically rude to limit your follow options to email. However, do keep in mind that there are people like me who will go out of their way to avoid getting more email, and it may not always be the most effective way of gathering followers. Having another less intrusive option as well as an email option is a good idea. This is probably the worst, and if you automatically follow everyone who follows you, it probably happens to you more than you realize. Some accounts follow a ton of people, then unfollow them a short time later, to "improve" their ratio of folks they follow to folks who are following them. There are some people who use programs that auto-unfollow anyone who doesn't follow them back, but I have people I follow because I'm genuinely interested in them and their content and I don't care if they follow me back (I still haven't gotten Nathan Fillion's attention, for whatever reason...). The bottom line for me: don't follow unless you tend to stay following and are actually interested in my content. A few days ago (and this is the event that triggered this rant, but I decided to save the most annoying for last), I got a friends request on my personal Facebook account. I do not accept friends requests from people I don't know. Some people do. Some people's attitude is that they got on Facebook to meet new people and the more the merrier. Some people will accept if they know people in common or are in a group with you. I'm not those people. I'm not about to friend someone and let them see pictures of my kids just because they found me playing "six degrees of Kevin Bacon" on the interwebs. However, I also don't automatically block people who send me these requests because, who knows, maybe a group interaction later will open me up to the possibility of befriending them. In this case, though, the friendship request was followed immediately by a direct message telling me how to download the guy's free book. I ignored it and deleted the request. That was annoying. Then two days later, the guy sent me ANOTHER direct message, again asking me to download his dang book. For all I know it is a great book, but the method turned me off so much that I sent him a return message saying if he didn't stop I'd report him to Facebook. I haven't heard from him since. People often save their personal page for people they are actually friends with. 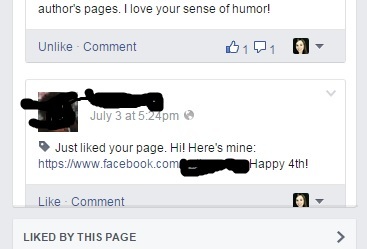 If a person is an author and you want to interact with them, look for a page to like, not their personal page. Also, if your only interest is selling something to someone you are NOT by definition a friend. So just don't. So do any social media habits drive you bonkers? Do you think some of the things listed aren't so bad? I know, I'm evil for hating Friday Follow. Let me have it in the comments. Call of Brindelier Release Day!